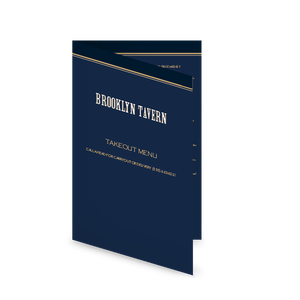 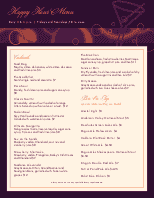 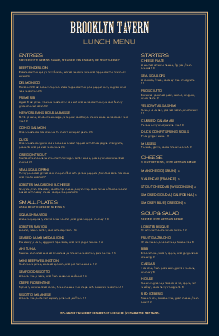 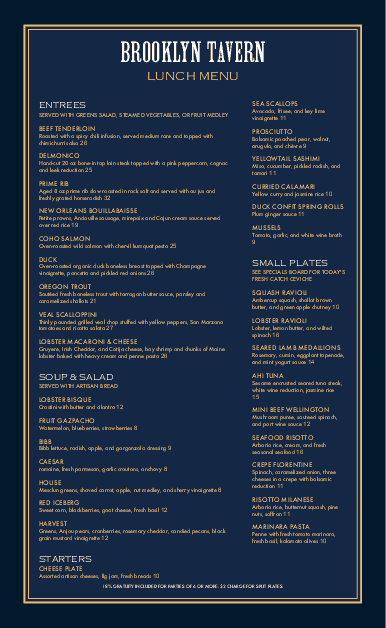 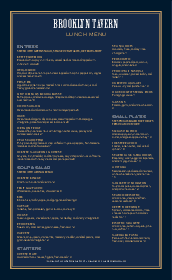 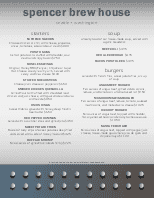 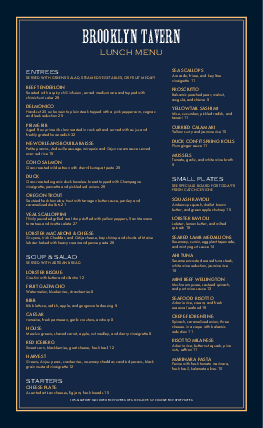 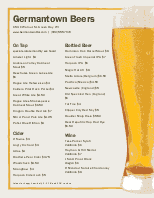 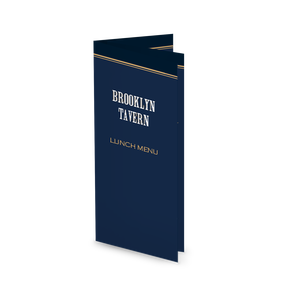 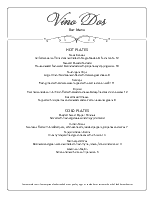 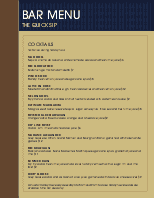 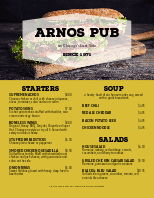 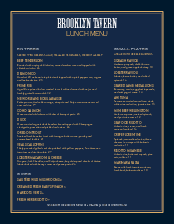 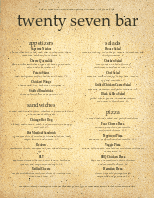 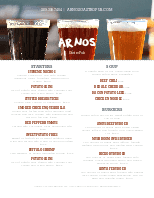 The Brooklyn Tavern menu is a sophisticated menu template in navy blue with gold accents. 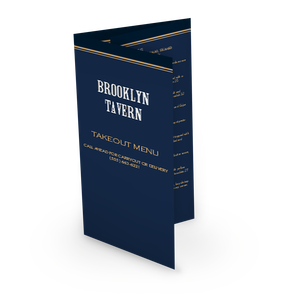 Customize with your restaurant name, drinks and fare. 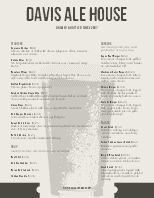 Available in nine paper sizes.